Dimensions 0.50 by 5.25 by 5.75 in. Amazon.com description: Product Description: Our intuition on how the world works could well be wrong. We are surprised when new competitors burst onto the scene, when businesses protected by large and deep moats find their defenses breached, or when vast new markets are conjured from nothing. The world not only feels different, the data tells us it is different. 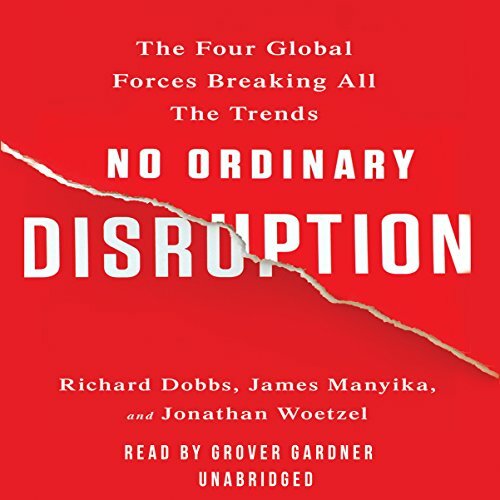 Based on years of research by the directors of the McKinsey Global Institute, No Ordinary Disruption is an analysis of how we need to reset our intuition as a result of new forces colliding and transforming the global economy. With Spears | from Cambridge Univ Pr (December 1, 1995); titled "Social Stereotyping"
About: Our intuition on how the world works could well be wrong.